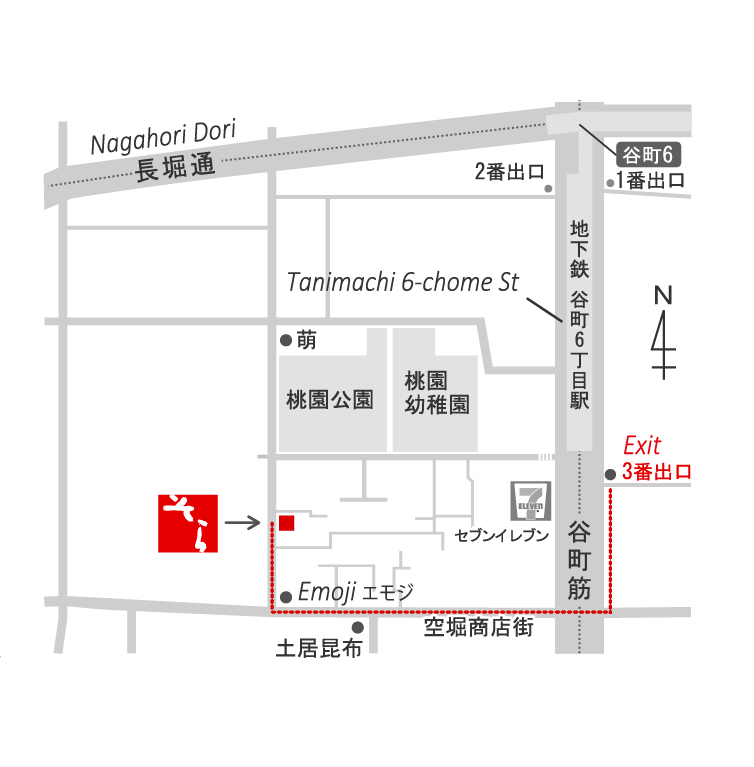 ①Take Tanimachi line(purple line)and get off at Tanimachi 6 cho-me station. ②Take an elevator near Exit 3. ③Turn left and cross at a fraffic light to get to a shopping arcade. ④Keep going straight down untill you see “Paper shop Emoji” ,then turn right and go down a slope. ⑤You’ll find “Sora” on your right ! COPYRIGHT (C) Art GALLERY SORA. ALL RIGHTS RESERVED.